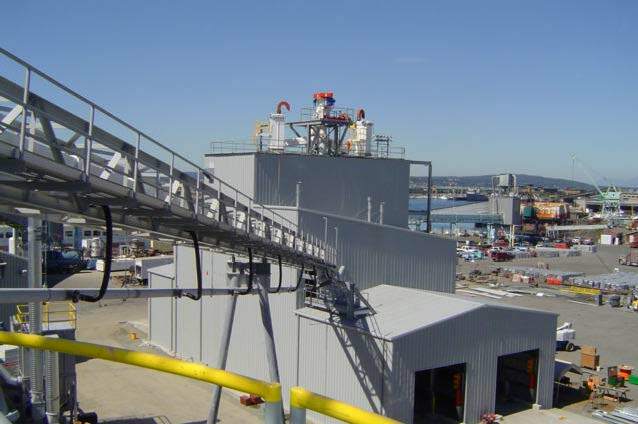 For over forty years, SMG has provided design services for complete industrial plants, including port, waterfront and terminal facilities. 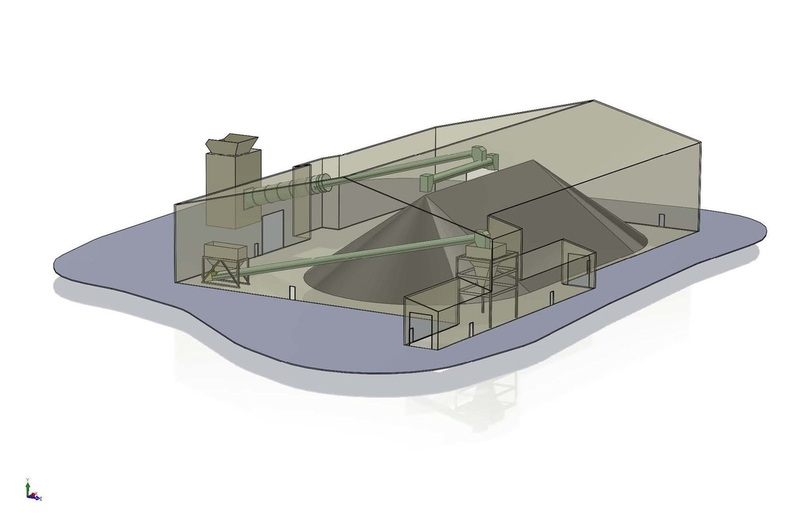 From the inception of the project SMG can help owners make preliminary and conceptual decisions with cost estimates and feasibility studies. SMG provides civil, structural and mechanical design, in addition to preparing contract documents and acquiring necessary permits. SMG's practical approach to the design of industrial systems has made the company a leader in this field. SMG works with specialty design consultants, such as electrical and controls designers, to provide a client with a complete design. 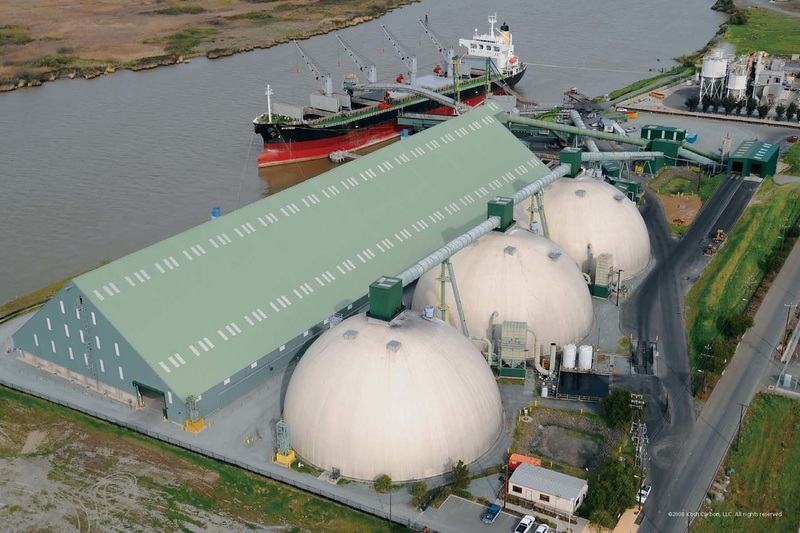 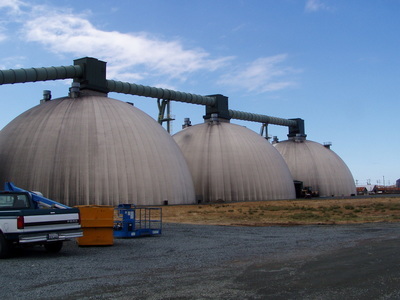 SMG originally designed this bulk commodities terminal and later designed an additional storage facility, which more than doubled the storage capacity on-site. 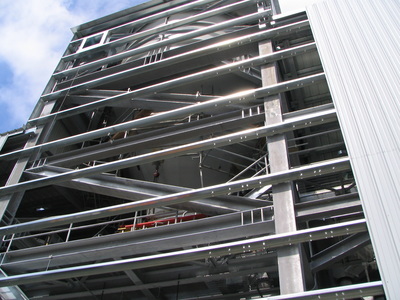 The new 600-foot-long by 200-foot-wide structure adds 75,000 metric tons of capacity. 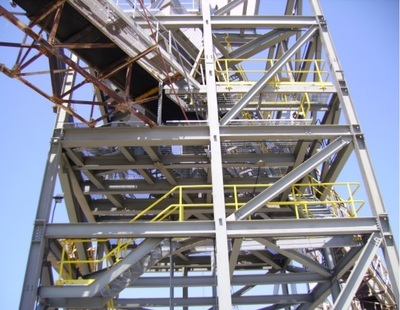 The structure has no interior supports, which allows front end loaders to move material without interior obstructions. 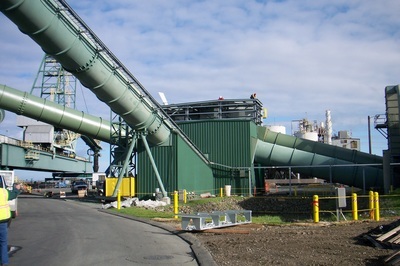 Material is reclaimed into recessed conveyors along one side of the facility, and transported by conveyor to the shiploader. 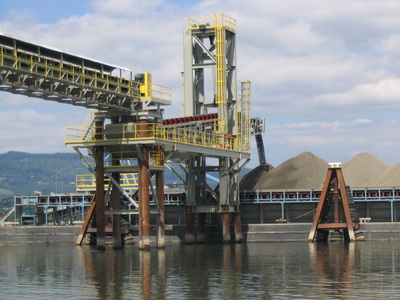 SMG designed this bulk terminal to handle coal and petroleum coke between various modes of transportation. 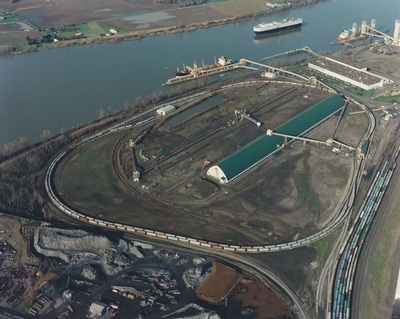 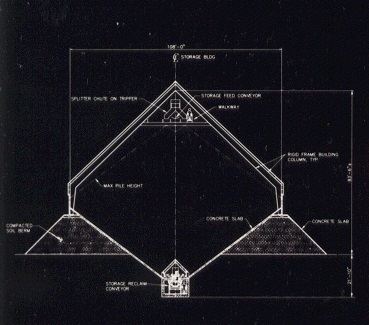 The design included provision for incoming product by rail, truck, and barge and outbound by truck, barge, and ship. 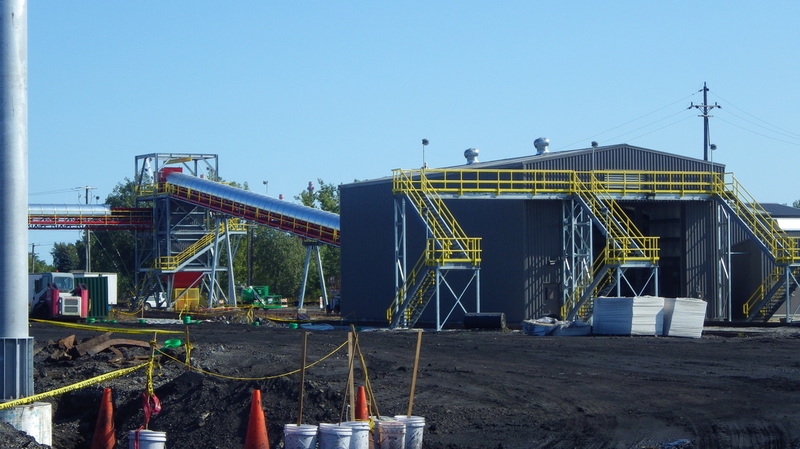 The design included conceptual layouts to final design documents, permit support, contractor coordination, site observation, and assistance with buyout equipment. 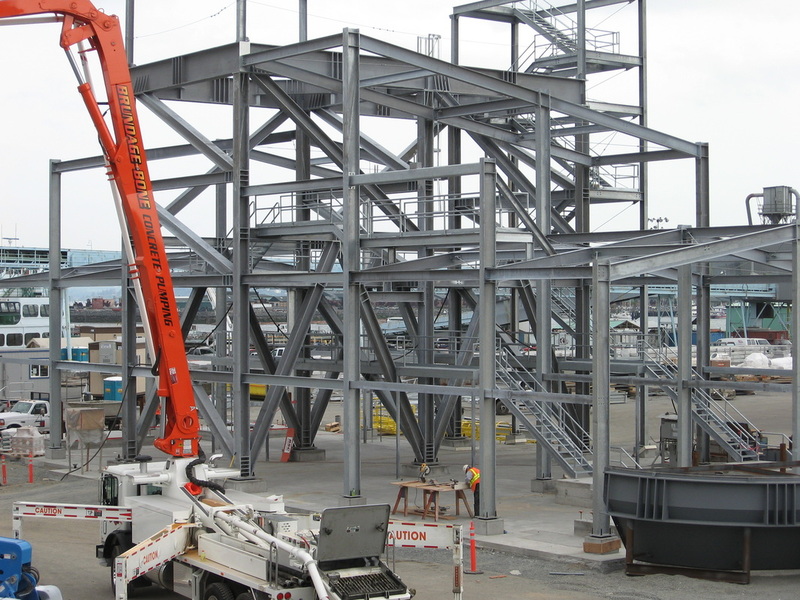 SMG provided material handling design, civil engineering, structural engineering, mechanical engineering, rail design, electrical design, and controls design. 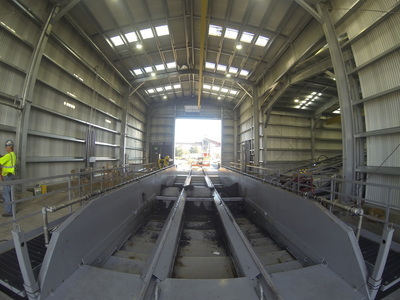 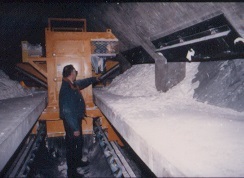 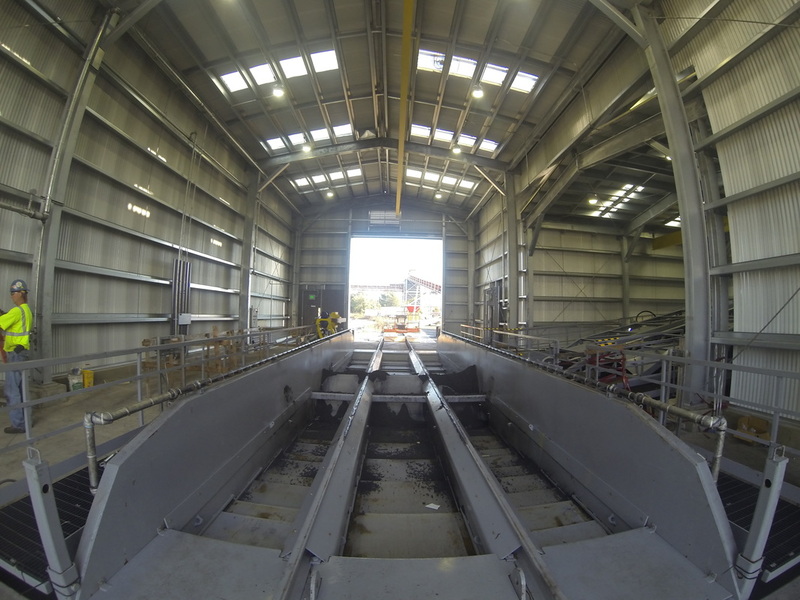 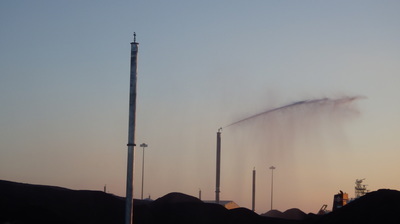 This facility had some unique features that included new rail unloading equipment, incorporating existing rail unloading equipment and shiploader, and a state of art water dust suppression system. 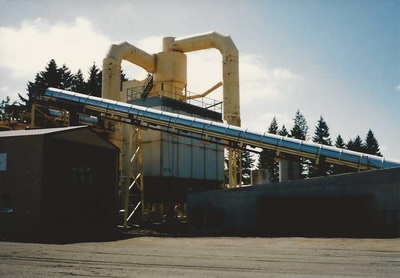 The dust suppression system has weather prediction capability, PLC controlled distribution, and a recycle system to capture both dust suppression and storm water. 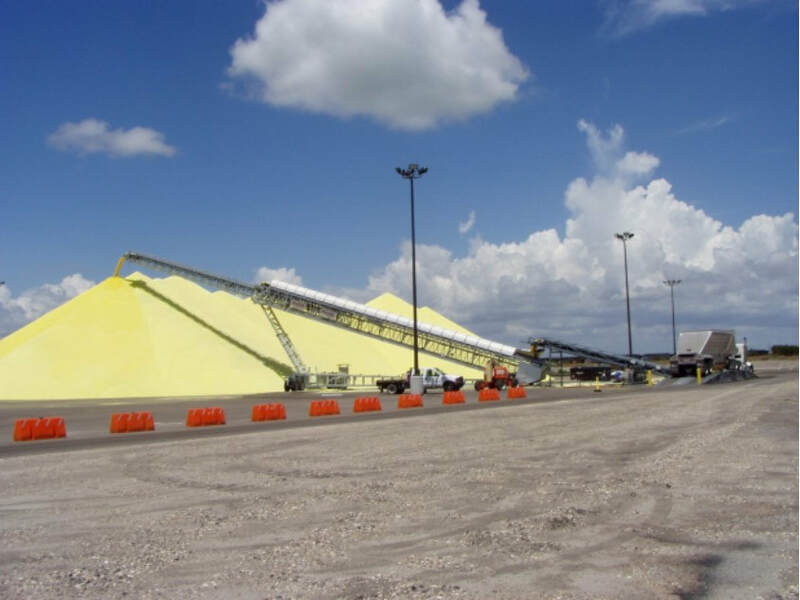 SMG was hired to provide feasibility design and cost estimating to develop this sulfur prilling and handling facility at the Port of Corpus Christi. 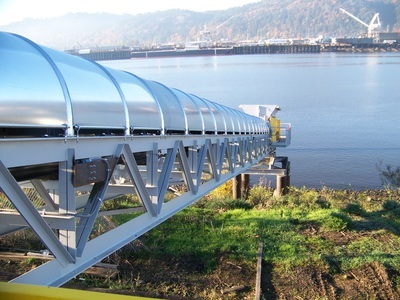 The priller was installed in the local refinery and transferred by truck to the open stockpile storage. The storage was designed to be manually reclaimed to feed a new hopper feeding the existing conveying system to feed an existing shiploader. 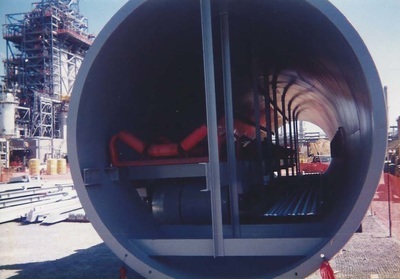 The tie-in had to be connected mechanically and with interlocks to the existing Port of Corpus Christi shiploader. 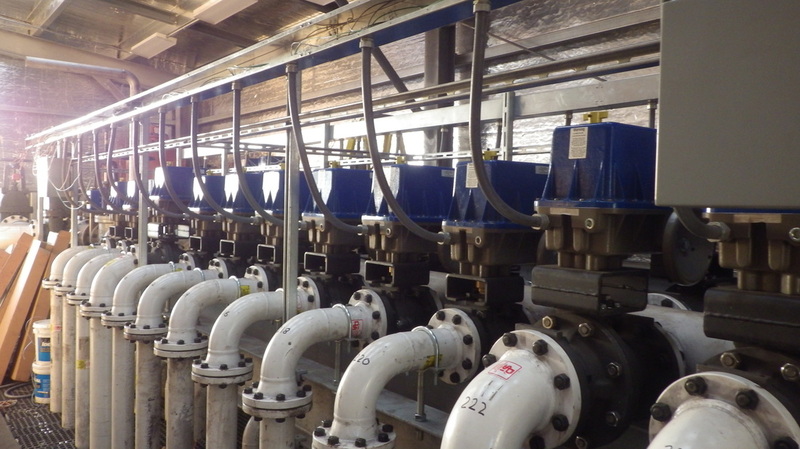 The design of this facility included water management of the transfer and storage areas. 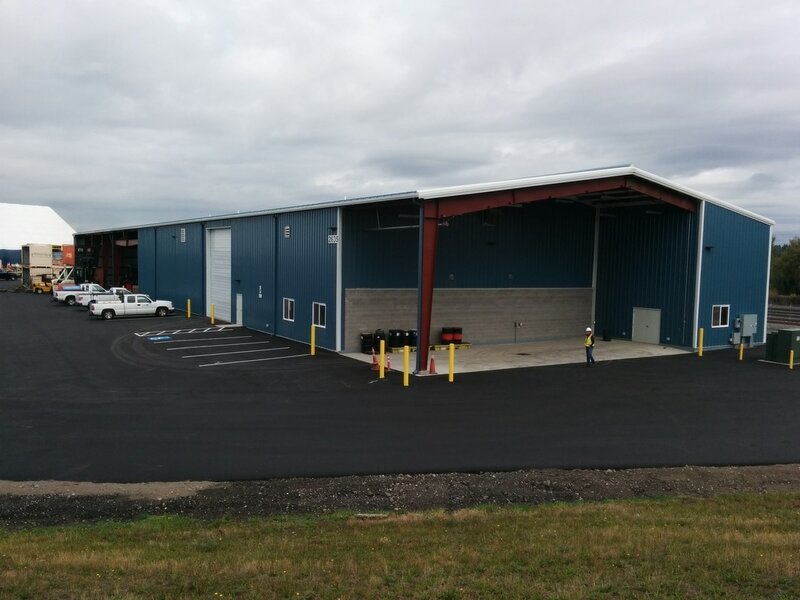 SMG provided feasibility studies, cost estimates and conceptual designs to evaluate the use of new equipment, existing pre-owned equipment and refurbished equipment to assist in providing the best value for this facility. 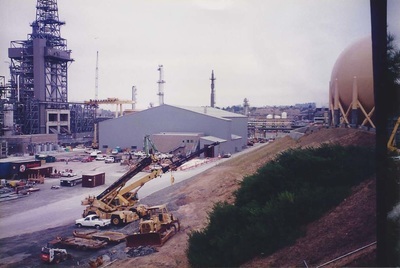 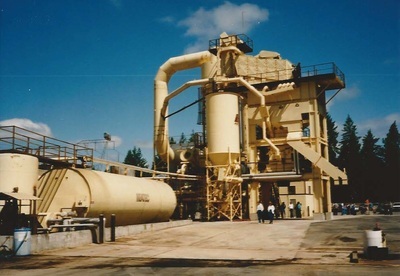 SMG designed this facility to receive petroleum coke from a Shell refinery, and then crush, store, reclaim and load the "pet coke" onto trucks. SMG completed the design portion of this design/build project. 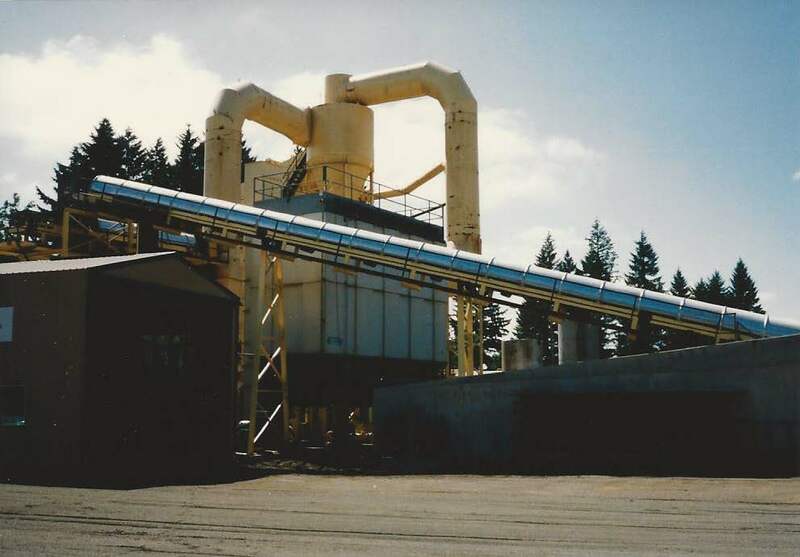 The client required a fully enclosed system, including tube gallery belt conveyors and dust collection equipment, to meet stringent jurisdictional air quality mandates. Plans also called for the potential addition of a railcar loading system. 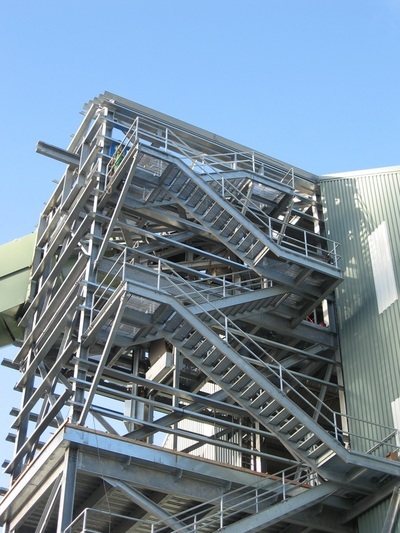 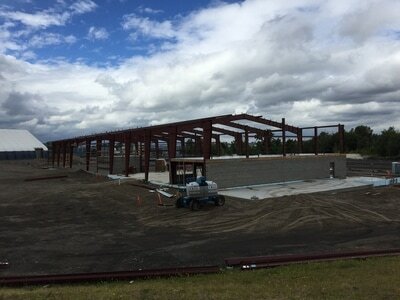 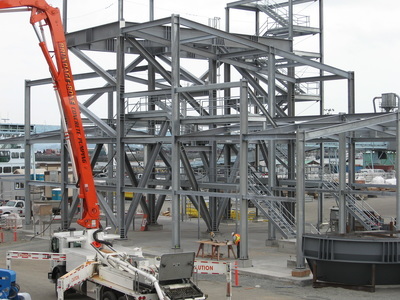 SMG's design work included the hoppers, conveyors, and enclosures for the process design, civil and foundation design, coordinating the addition of a 160-foot by 250-foot pre-engineered metal building, design of support buildings and structures, specification of buyout equipment, design of support utilities, and on-site project engineering coordination. 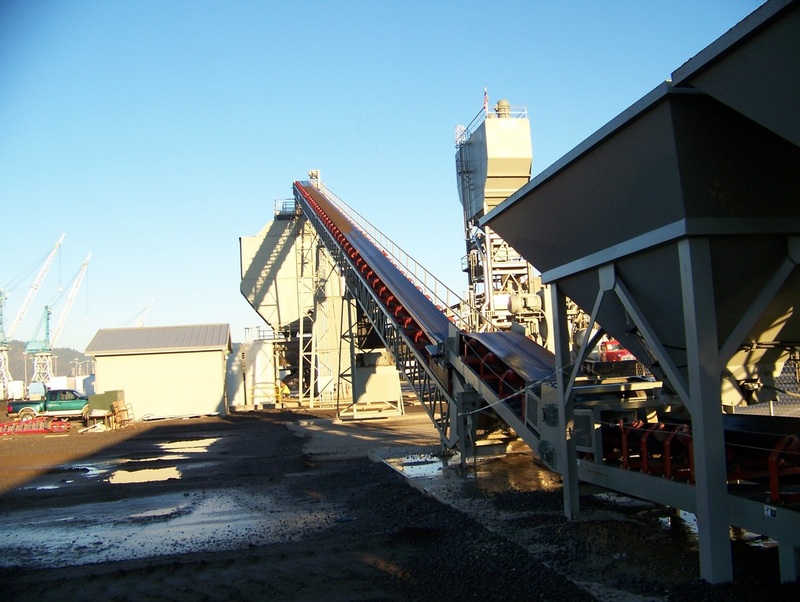 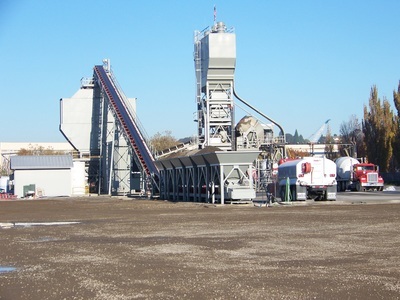 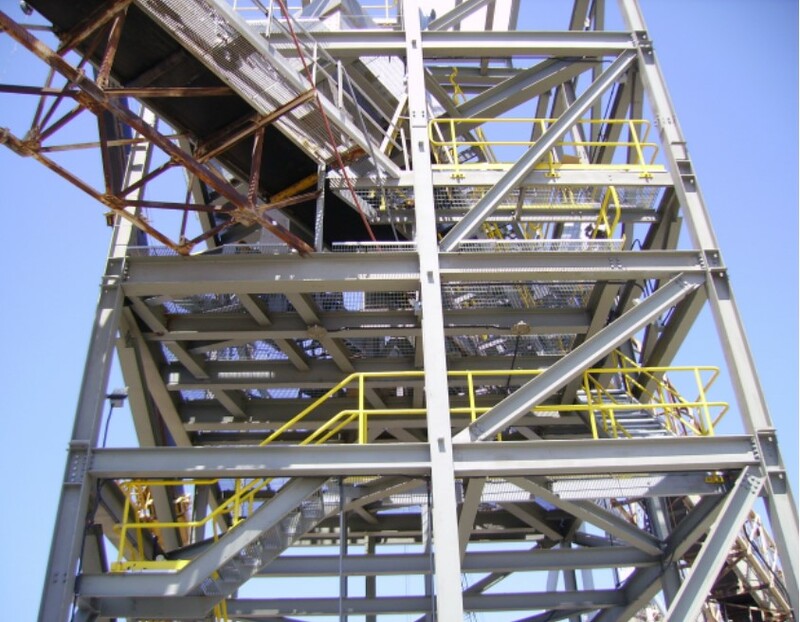 SMG performed a retrofit design of an existing facility for soda ash handling. 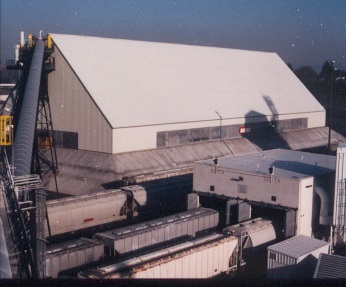 The original facility had a single conveyor that transferred material from the truck loadout directly to the ship. 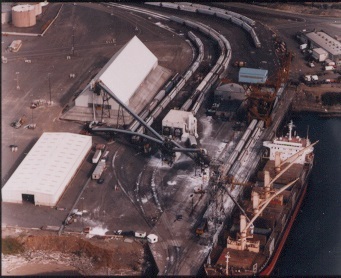 The new design allowed unloaded material to be transferred to storage silos or directly to the ship. 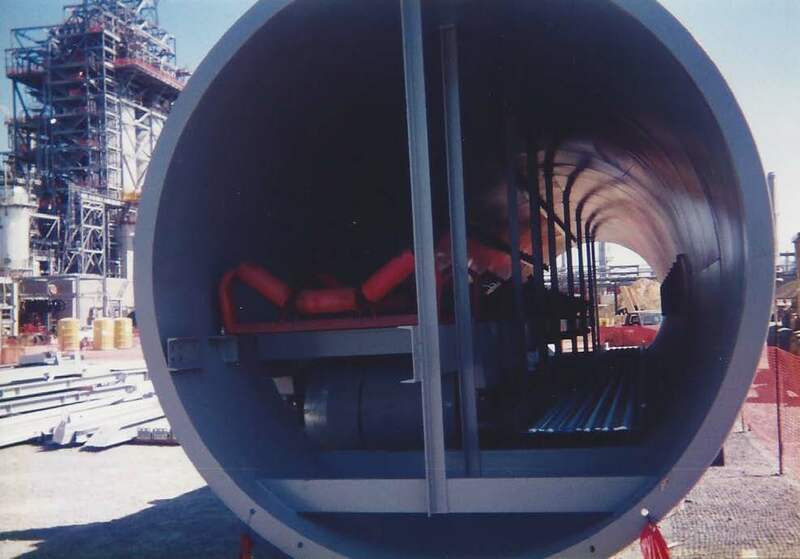 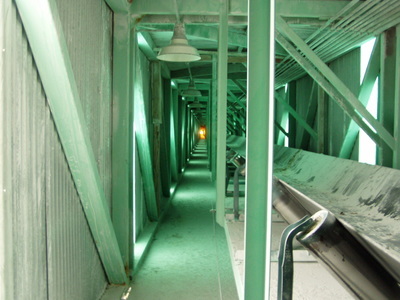 The new conveyor was contained in a 9-foot diameter steel gallery tube for air quality and maintenance access. 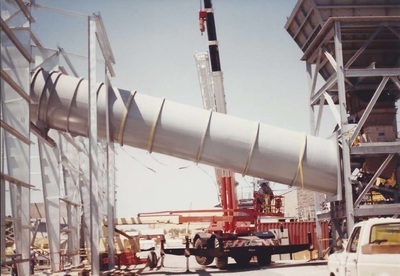 Large seismic forces from the gallery tube and the existing conveyor had to be carried into the new transfer tower. Steel support bents supporting the gallery tube, up to 30 inches in diameter and 130 feet tall, were strategically placed to avoid existing above- and below-ground utilities. SMG was retained to determine the suitability of the client's existing facility for cement receiving, storage and reclaim. 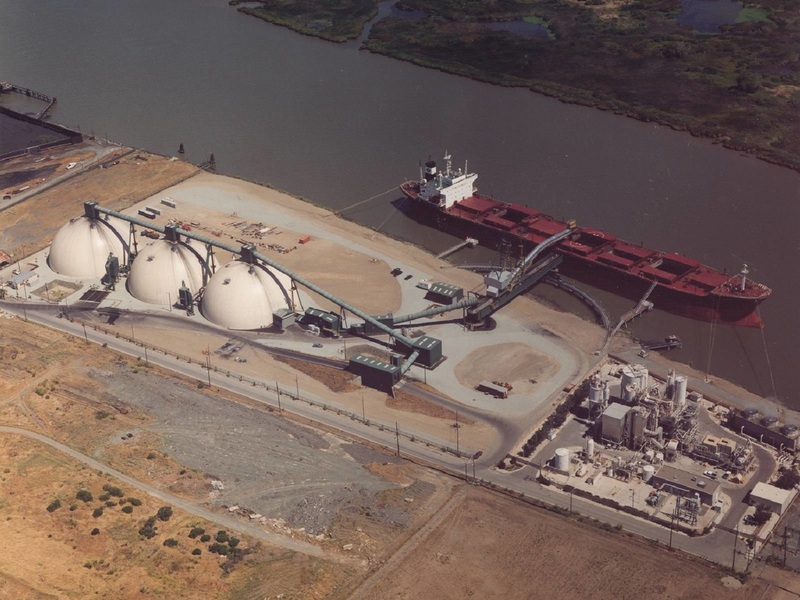 SMG designed modifications necessary to convert to this process, which involves unloading cement from Handy-sized 45,000 DWT ships, transporting it into dome storage, and reclaiming it to the existing rail loadout and a new truck loadout. The design accommodated future expansion for additional types of cement. SMG designed this bulk export terminal. 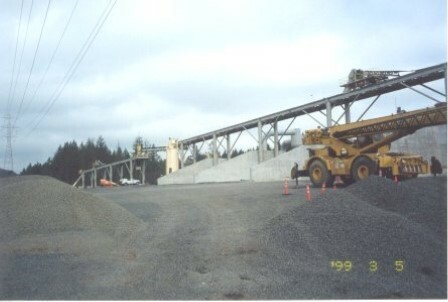 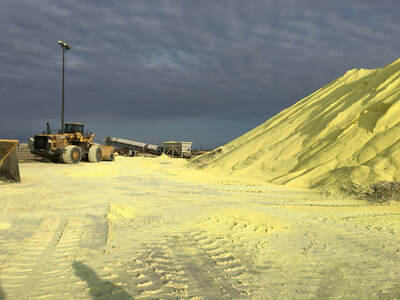 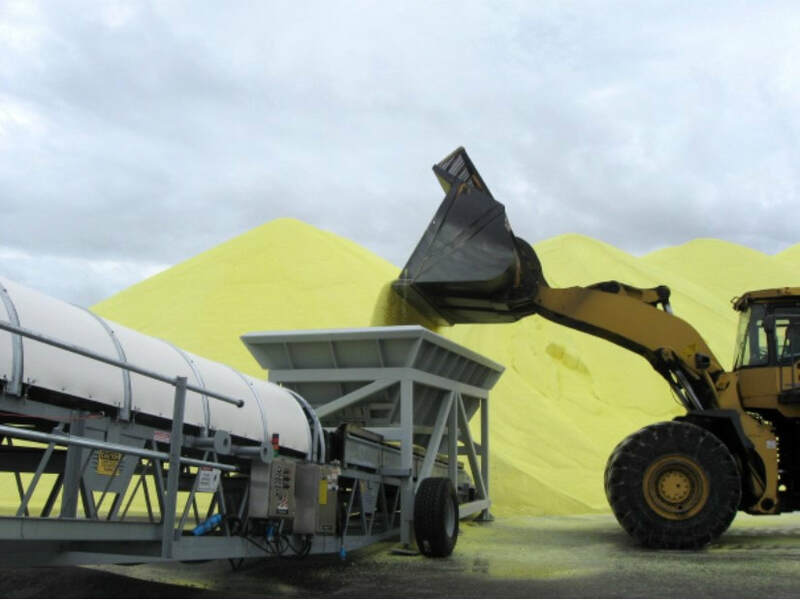 The terminal is designed to handle a variety of bulk commodities. 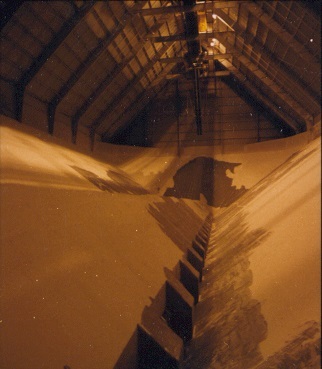 Up to 100,000 MT of potash is received from unit trains (100 railcars) through a continuous dump rail unloader, and stored in a 160-foot-wide by 1,500-foot-long by 85-foot-high corrosion-resistant wood building. The product is automatically reclaimed with twin 4,000 MTPH maximum reclaimers, and loaded to Panamax-sized ships. 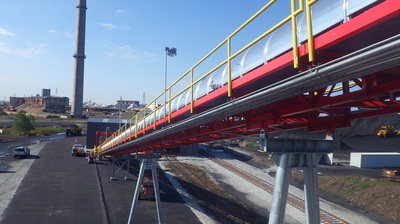 The terminal is designed with two loop tracks to accept two unit trains at a time. 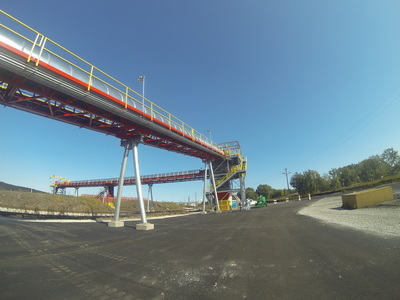 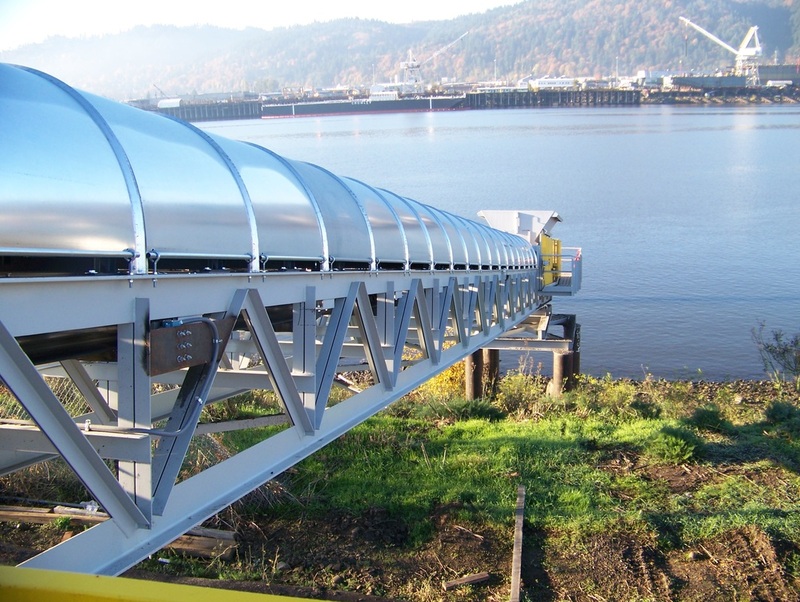 SMG's design work included transfer conveyors for the distribution of the product, specifications for buyout equipment, support buildings and offices, civil and foundation design, support utilities, and dock and shiploader modifications. 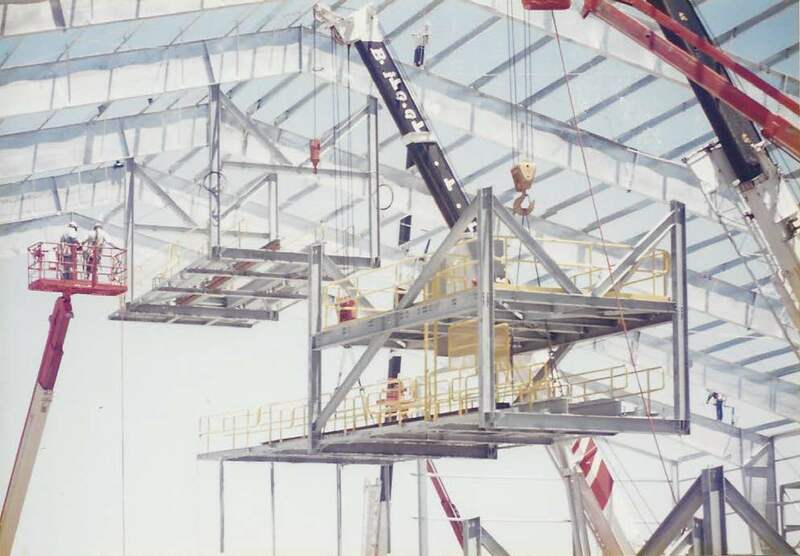 SMG led the project through the initial feasibility design, preliminary design, and final design, and also provided continuous on-site engineering coordination during construction. 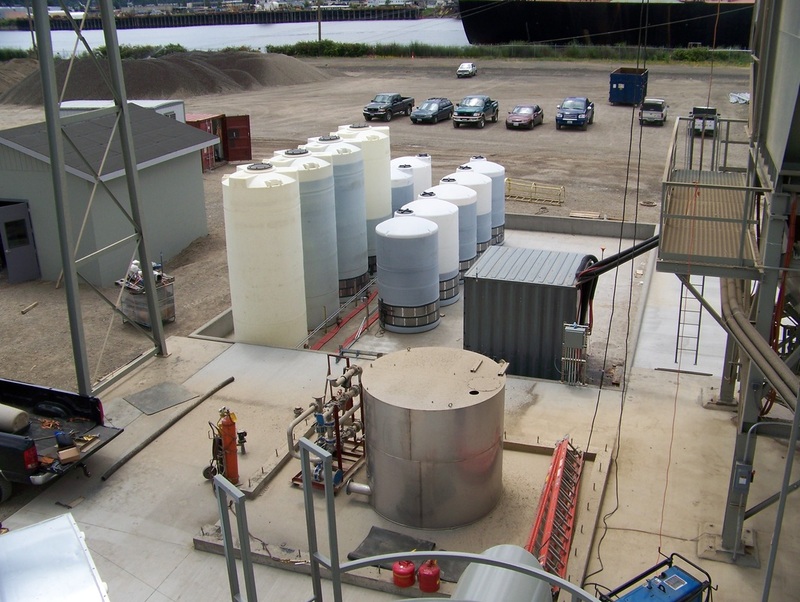 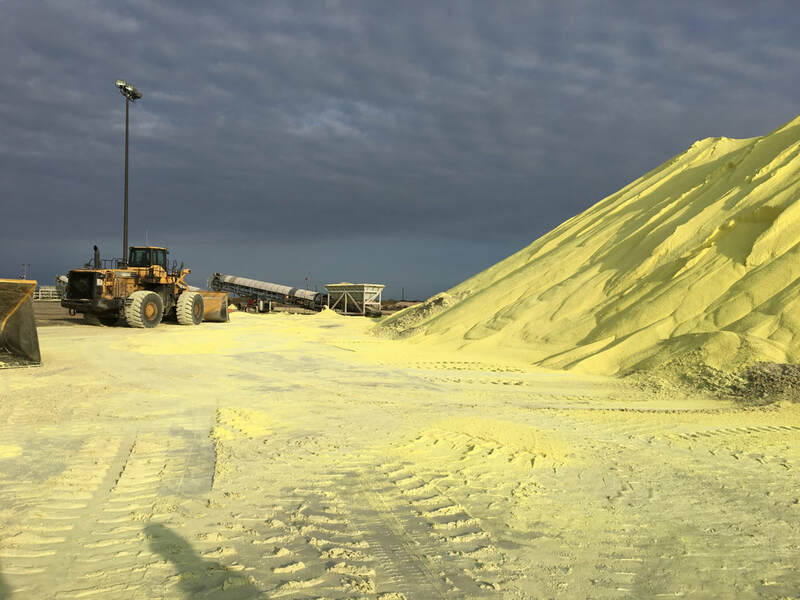 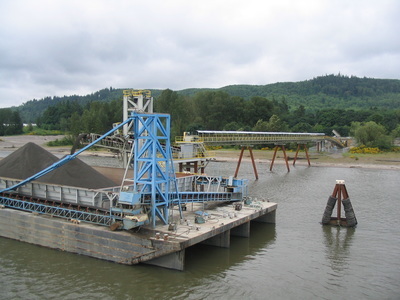 SMG provided design services for this facility that included barge unloading, aggregate storage and reclaim, batch plant, aggregate sales, and support buildings. 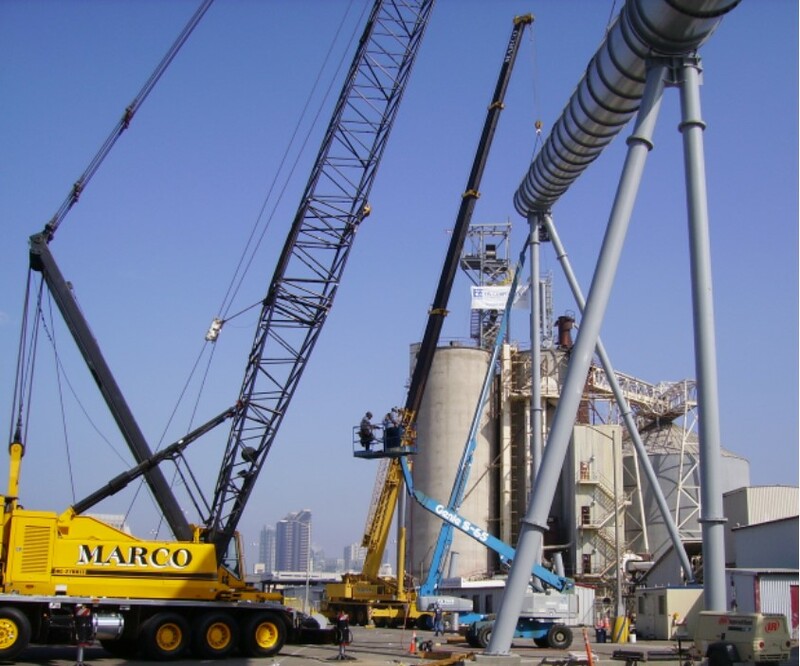 SMG's services included conceptual layouts and final design for material handling, structural design, civil design, mechanical design, support of buyout equipment, permit assistance, and contractor coordination. 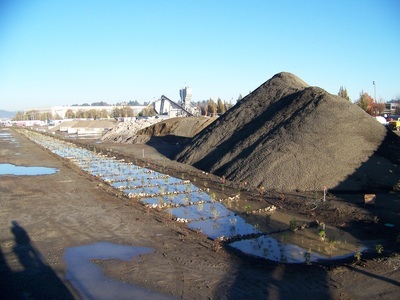 This facility included a water retention and recycling system with settling ponds and bio-swale for maximum reuse of both process and rain water. 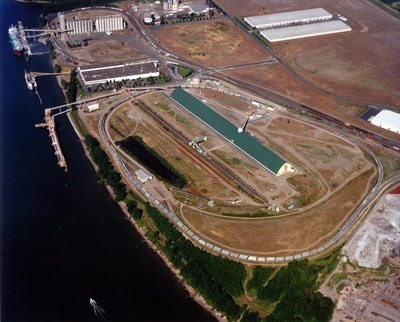 SMG designed a new 25,000 square foot facility for the Port of Vancouver to be used as a storage and maintenance shop for a Port tenant. 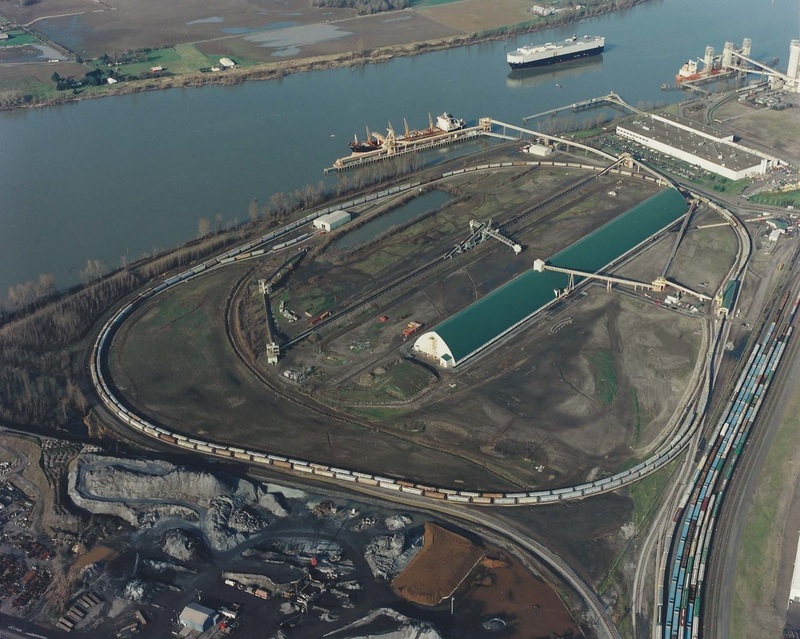 It was critical to balance the needs of the Port, the needs of the future tenant, and plan for additional operations and projects around the immediate site. Time was a major constraint for this project and SMG was able to meet the stringent time requirements to provide design, permitting, and construction documents. 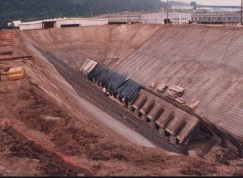 Scope of work included stormwater design, site utility design, structural design of foundations and mezzanine, construction cost estimating, full technical specifications, coordination of electrical and plumbing designs, permit acquisition (land use, civil, and building), and on-site engineering observation during construction. SMG designed this $70 million cement plant. 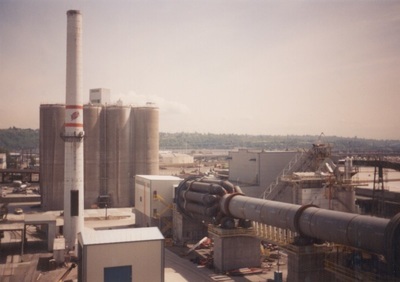 The plant is a complete cement-producing plant with support activities, dock facilities, and rail and truck shipping and receiving facilities. 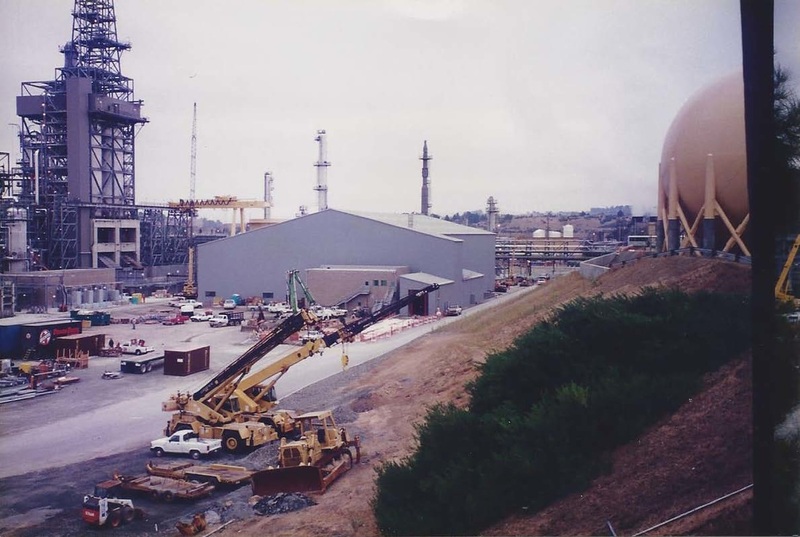 SMG initiated the permit process for the contractor and provided site investigation and plant layout. 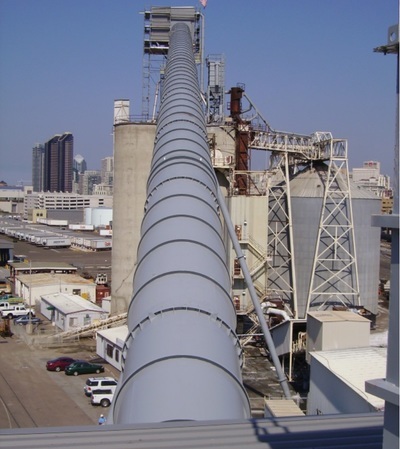 In addition, SMG supplied drawings and performance specifications for turnkey cement plant equipment suppliers to make fixed price bids. 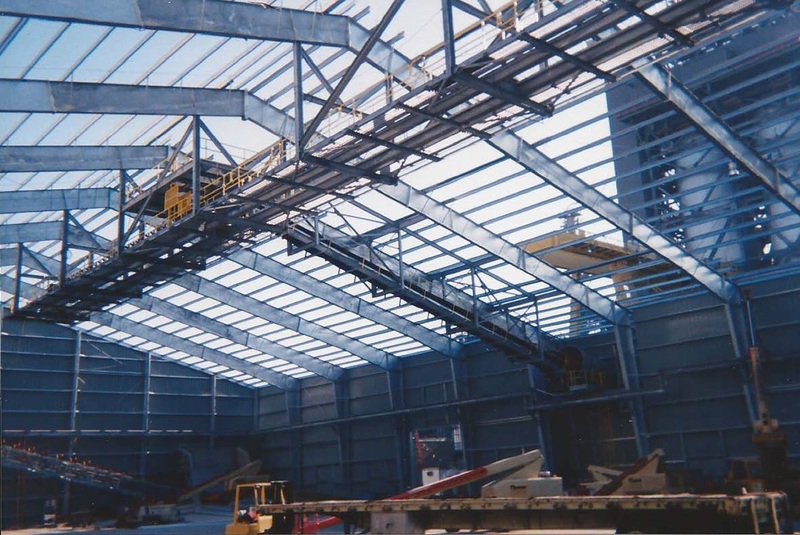 SMG also produced construction drawings for the warehouse, office building, clinker storage building, dock facilities for loading and unloading barges, and storm drainage. 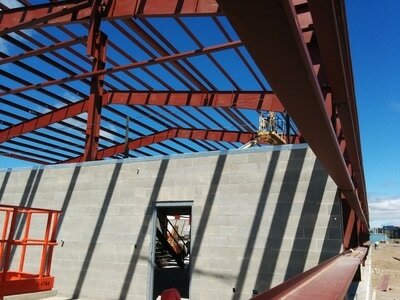 SMG then provided coordination and contract administration services as the construction proceeded. 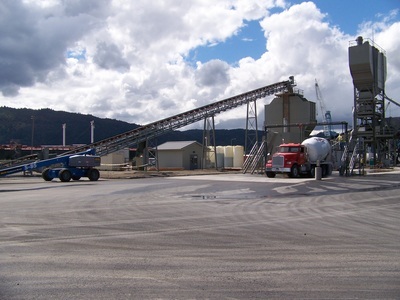 SMG was retained for conceptual and final design of a soda ash storage facility for this design/build project. 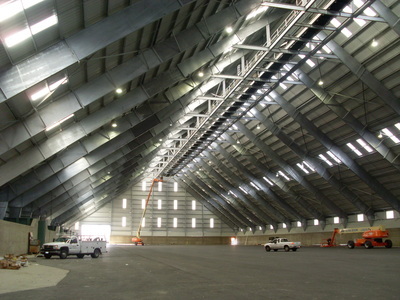 The storage was fit into an existing direct hit rail to ship terminal. The project included feed conveyors, reclaim conveyors, and the associated tie-ins to the facility. 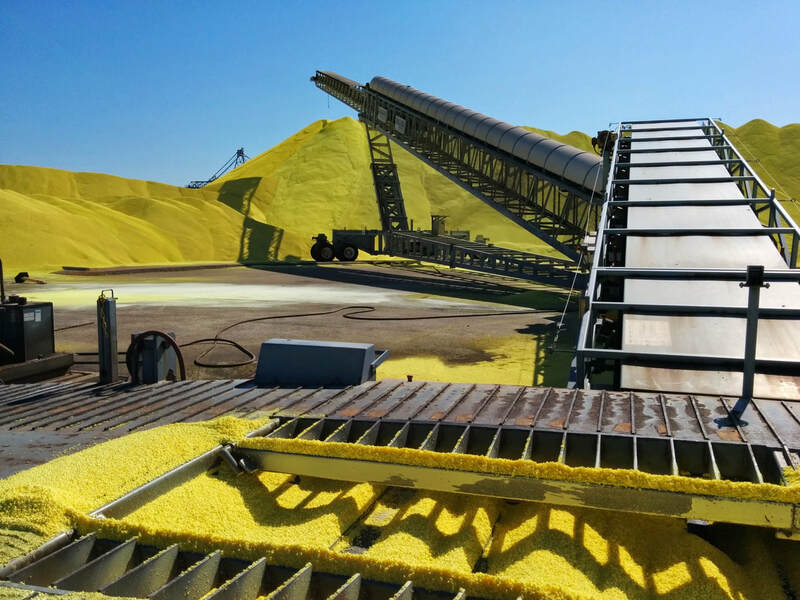 The stored material is reclaimed via gravity feed to screwfeeders at a central belt conveyor system. 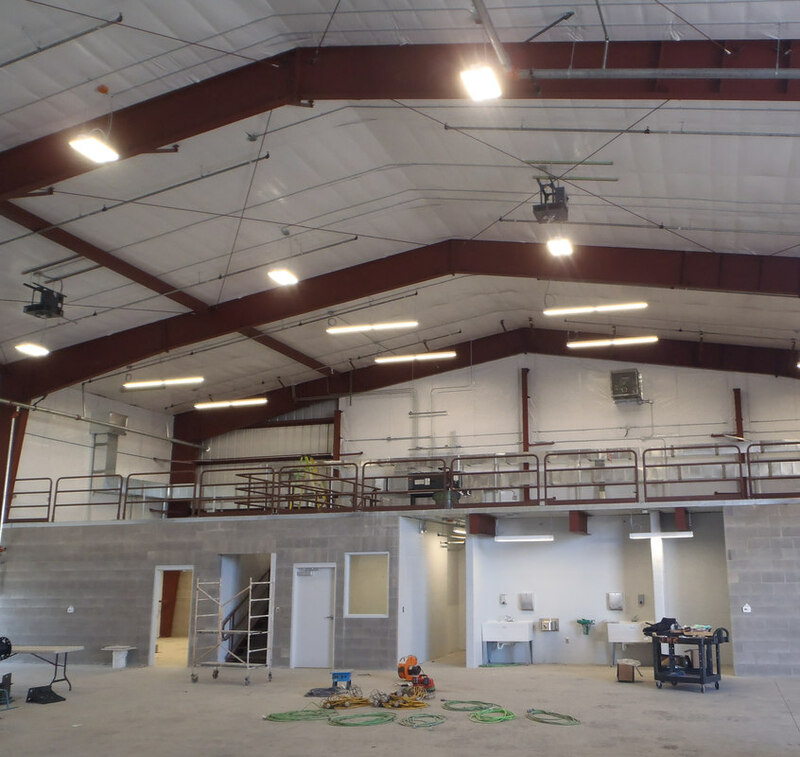 Services included design, contractor coordination, permitting, and full-time on site engineering supervision during construction. SMG provided full design services for this multi-phase facility. 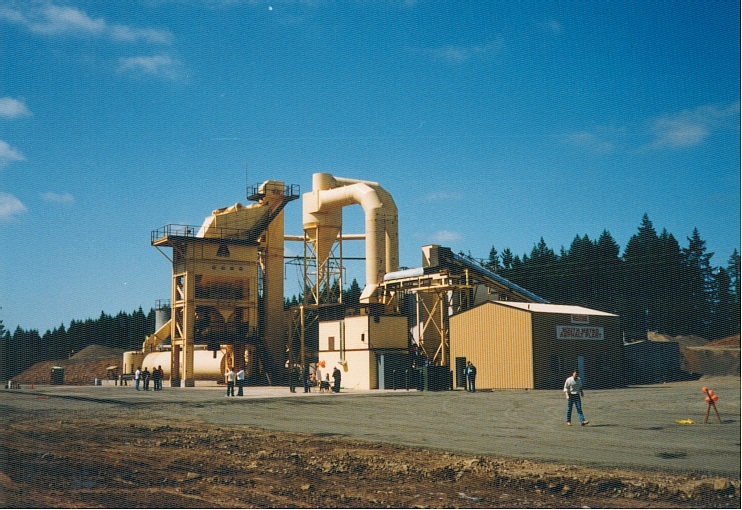 The facility includes rail unloading, overhead tripper-fed aggregate storage, automatic tunnel reclaim system, feed to concrete batch plant, feed to asphalt plant, and feed to aggregate sales. 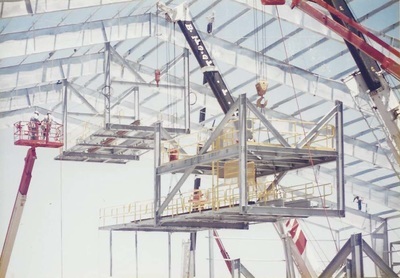 SMG also designed the support structures such as offices, maintenance shop, control rooms, and a recycled water management system. SMG's services included conceptual and feasibility design, final design of civil, structural, mechanical and electrical, coordination with equipment suppliers, construction documents, permit assistance, and support services during construction.